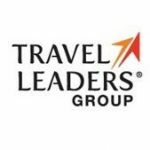 Travel Leaders Network is currently seeking a Sales Manager to join the team in Toronto. Incumbent will identify and develop new business opportunities in an assigned territory. Incumbent will strategically prospect new and existing accounts making face to face presentations with decision makers. Incumbent will manage the entire sales cycle. Incumbent is responsible for overseeing and increasing the volume and market share by identifying, qualifying and recruiting travel agencies into Travel Leaders Network. Generate and follow up on leads from referrals, cold calls, existing members, direct mailing and strategic partnership relationships.